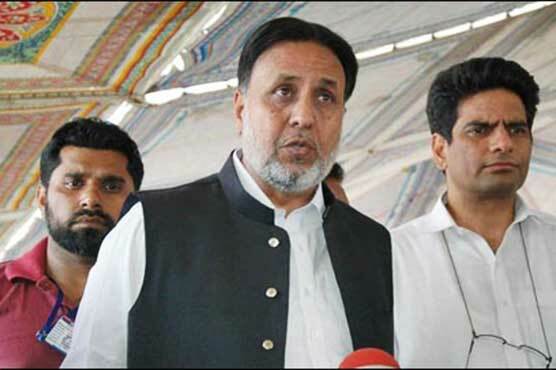 Provincial Minister for Housing,Urban Development and Public Health Engineering Mian Mehmood-ur-Rasheed on Thursday said that he would step down from his post if his son is found involved in indecent activity. Addressing a press conference in Lahore on Thursday, he said that the incidents of manhandling by the police have become a routine matter. The minister said that the news reports regarding his son were false, adding that the investigation will clear everything. He further threw a challenge saying he would step down from his post if his son is found involved in indecent activity. Giving details of the incident, Rasheed said that police demanded Rs50,000 bribery from his son, adding that video evidence of police accepting their mistake was also available. “This incident should be investigated as my son was there to save his friends,” he added. Further giving details of the incident, the PTI leader said that his son received a phone call from one of his friends that one of their friend was brutally tortured after which he he reached the site and found his friend in minimally conscious state. The minister said that police personnel were also presented at the spot and demanded bribe from my son’s friend. “I told my son to quickly reach the Gulberg police station and become a part of the investigation,” he added. Rasheed vowed to fully cooperate with police in investigation of the incident.